Fifty of the UK’s highest-risk local authority A-roads are on track to becoming safer, thanks to the work of the Road Safety Foundation, supported by the RAC Foundation and the Department for Transport (DfT). New guidelines published today and initially drawn up to help authorities in the UK bid for funding, could be used by any road agency in the world. 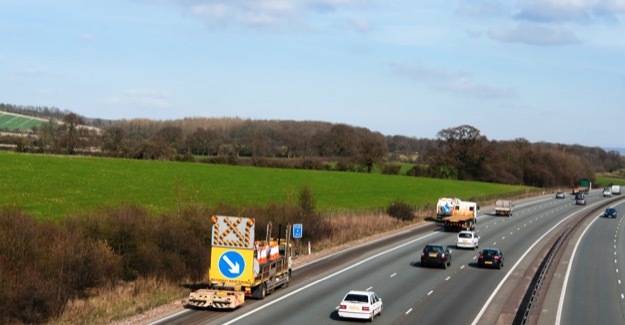 At the beginning of the year, the DfT established the ‘Safer Roads Fund’ that will provide £175million capital investment to improve the safety on the 50 highest risk local A road sections in England based on the Road Safety Foundation’s most recent report. The guidelines document, entitled Tackling High-Risk Regional Roads is freely available to any road authority seeking to apply safe system thinking to their busy regional roads. The guidelines show how risk mapping and star rating can be used together to identify priority sections, along with clear examples of the cost benefit ratio of potential life-saving treatment plans. Safer Road Investment Plans (SRIPs) give road safety engineers an overview of the types of measures that might be effective in managing the risk on their roads and show the economic rate of return. Road safety engineers can use this information together with their expertise and local knowledge to refine into a tailored investment plan. In this approach, roads are video-surveyed, and then more than 50 road features that are known to influence crash likelihood and severity are coded every 100 metre along the route. The data are combined with supporting records such as speed surveys, road user flows and crash distribution and is uploaded into ViDA, a specialist online analysis tool devised by the International Road Assessment Programme (iRAP). To date, nearly 80 local authority road engineers have been trained in using the guidelines and software to assist their funding bids which were submitted in April and September this year. RSF Research Director Dr Suzy Charman, who is leading this work said: “These guidelines have been written to help road authorities manage road crash risk on busy regional roads. This document provides a step-by-step guide on how to use Risk Mapping and Star Rating to identify high-risk roads and then develop treatment plans that will reduce their risk. “Local authorities which have been part of the Safer Roads programme are already embracing the iRAP approach, and are delighted to have the opportunity and budget to improve these high-risk roads. Some authorities have even commissioned the RSF to undertake additional surveys on roads of concern that fall outside of the remit of the ‘Safer Roads Fund’. “A lifetime of care for a single trauma victim can cost more than £20m. We have identified the authorities with high costs from road crashes, and shown how risks can be reduced and lives saved with economic returns that are higher, quicker and more certain than from most projects competing for funds. Safer Road Investment Plans (SRIPs) give road safety engineers an overview of the types of measures that might be effective in managing the risk on their roads and show the economic rate of return. Road safety engineers can use this information together with their expertise and local knowledge to refine these into a User Defined Investment Plan. Fast progress has been made by Road Safety Foundation (RSF) working in partnership with local authorities in England. In Autumn 2016 the RAC Foundation supported a pathfinder project to enable eight local authorities to survey, Star Rate and develop Safer Roads Investment Plans for eleven high risk A-road sections. Soon after this work began, the Department for Transport (DfT) established the ‘Safer Roads Fund’ that will provide £175million capital investment to improve the safety on the 50 highest risk local A road sections in England according to last year’s risk mapping analysis. The safer roads funding is for schemes being implemented from 2017/18 through to 2020/21. The Road Safety Foundation trained 16 local authority road safety engineers as part of the pathfinder project, and has worked in partnership with them to develop User Defined Investment Plans (UDIPs) that were included in proposals to DfT’s Safer Roads Fund in April and September. Following on from this important pathfinder work, DfT supported a project to enable RSF to assist the remaining authorities in their submissions for the September deadline for the Safer Roads Fund. As part of this work a further 59 local authority engineers have been trained in the process across four workshops held in London and Leeds at the end of May and beginning of June 2017. RSF has just assisted engineers to develop their final UDIPs for submission last week. See www.vida.irap.org ViDA provides Star Ratings and SRIPs. From the £175 million being made available for road safety, we will be upgrading 2 of most dangerous local roads in the North East where the risk of fatal and serious collisions is highest. From the £175 million being made available for road safety, we will be upgrading 12 of most dangerous local roads in the North West where the risk of fatal and serious collisions is highest. From the £175 million being made available for road safety, we will be upgrading 7 of most dangerous local roads in the Yorkshire and Humber area where the risk of fatal and serious collisions is highest. From the £175 million being made available for road safety, we will be upgrading 9 of most dangerous local roads in the East Midlands where the risk of fatal and serious collisions is highest. From the £175 million being made available for road safety, we will be upgrading 2 of most dangerous local roads in the West Midlands where the risk of fatal and serious collisions is highest. From the £175 million being made available for road safety, we will be upgrading 2 of most dangerous local roads in the East of England where the risk of fatal and serious collisions is highest. From the £175 million being made available for road safety, we will be upgrading 10 of most dangerous local roads in the South East where risk of fatal and serious collisions is highest. From the £175 million being made available for road safety, we will be upgrading 6 of most dangerous local roads in the South West where the risk of fatal and serious collisions is highest.